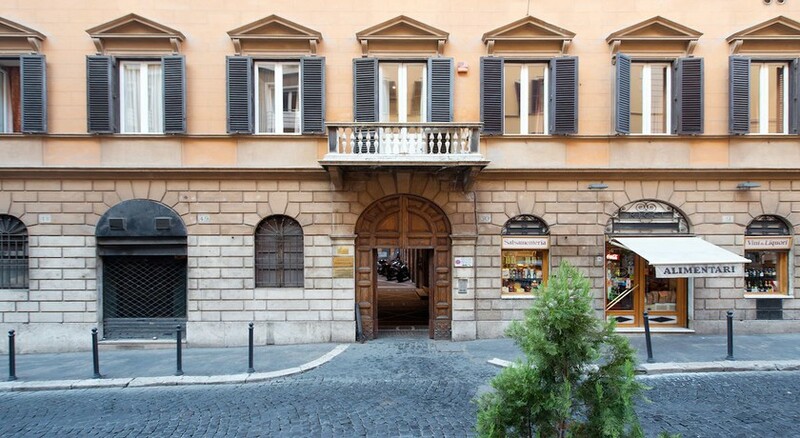 Inhabiting a majestic 19th century building in the heart of Rome makes this venue the perfect place for an unforgettable vacation. 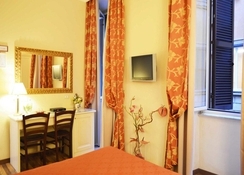 Located on a small quiet street just opposite of Via Veneto allows its guests to get to some of the most important landmarks of the Eternal city within minutes â€“ Trevi Fountain, Piazza di Spagna and the Barberini Square are all nearby. Termini train station is only a 10-minute walk away and from there the journey to the two airports takes around 30 minutes. Guests arriving with their private vehicles can use the onsite parking while staying at this charming historical hotel. Its relatively small size guarantees that they will get personalized service and everything will be made in order for their stay to be as flawless as possible. The well-appointed rooms come equipped with spacious beds, modern entertainment systems and hot tubs in the en suite bathrooms.